how easy it is to post to your website. 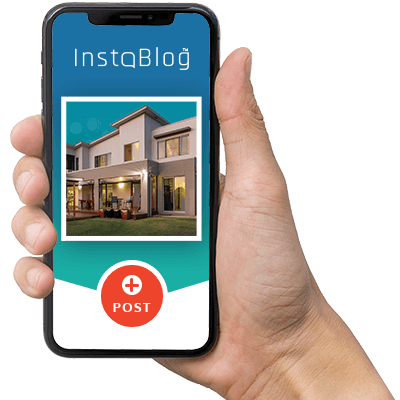 InstaBlog is a mobile friendly tool designed to use your phone’s camera and make it the worlds easiest way to post blogs, news and photos to your website. Posting good content gives your website and your business credibility. The articles and photos you post will make your business become the expert and the go to business which ultimately leads to high conversion rates.. Creating a connection between your customer and your brand is vitally important and InstaBlog can help you do that. You can create general posts that don’t necessarily need a whole page to show off the personality of your business and what people can expect dealing with your brand. Instablog is a content creation tool you can use to post to your website with news, blogs, events and photos all from your phone, tablet or desktop. Actively updating your website with new content will drive more visitors and entice returning visitors, to your website. The more your audience are involved and interested in your business, the more chances are created to increase conversions. Show the world your projects, ideas, developments and work, anywhere, anytime, all from the convenience of your phone. Receive maximum exposure by scheduling your post to go live at peak times throughout the day, week or month. Each post and page is already professionally designed for you, allowing you to just input your text, images and post to your website. Saving you time and hassle of doubling up on your online interactions, each post can be automatically added to Facebook at the same time. Take advantage and build your online business and grow your audience, using this new powerful content update tool, exclusive to Havealook customers.